Fiat heads to the Geneva Motor Show with a stand where world previews will take turns to underline the distinctiveness of the brand on the international automotive scene. Set in a unique tree-shaped installation with sparkling optical fibre filaments, the "guest of honour" of the stand is a technological masterpiece developed by Fiat Powertrain Technologies: the two-cylinder 85 HP TWIN-AIR (900 cc). Visitors can preview it for the first time both in a showcase and fitted aboard a 500, the first Fiat model on which it will be introduced in September. Progenitor of a new 'family' of two-cylinder engines made by FPT - Fiat Powertrain Technologies, it implements a revolutionary Multiair system combined with specific fluid dynamics optimised for the best fuel efficiency. Furthermore, by taking the concept of downsizing to the extreme and masterly tuning the basic mechanics, the new family - delivering from 65 to 105 HP - emits 30% less CO2 than an engine of equal performance. Still under the sign of technological innovation at the service of the environment, other important innovations will be treading the Swiss catwalk, starting from the world preview of the new Doblò Natural Power, equipped with a 1.4 16v T-JET (petrol and methane) engine reasserting Fiat in the field of cars and vehicles with original-equipment (OEM) dual-fuel engines. Spotlights will also be on the Bravo MY 2010 (Ritmo in Australia) that will be presented with a 1.4 Multiair (140 HP) and standard Start&Stop system at the show. Available from next June, this is a petrol engine with one of the best emission/power ratios in the world: only 132 g/km and a power of 140 HP. Later on, at different times according to the markets, a specific pack will be available, which will cut CO2 to 129 g/km, the best emission/power ratio for turbo engines in this power range. With a fresh style and interiors, the model offers new, competitively priced packs confirming the brand's strategy aimed at ongoing innovations that have made the Bravo (Ritmo) one of the most popular cars in the medium compact C segment in 2009 in Europe. It leads the LPG segment in Italy (totalling nearly 40% of the private customer market) and stands out in the 5-door saloon sub segment. A slot will also be devoted to the Punto Evo. Two engine versions will be introduced in at the motor show, putting the accent on technological excellence and care for details: the powerful Multiair 1.4 16v - 135 HP Euro 5, with CO2 emissions of merely 129 g/km and an unprecedented 1.3 Multijet II - 85 HP with ECO pack allowing a very low emission level (99 g/km). pR>Furthermore, in Geneva, Fiat will also be showing the most recent results of its ongoing commitment to staying close to motorists’ needs. This commitment is evident in the multi-faceted nature of the product range, in the new models and also in the updates to existing ranges. The context is a very lively one, as the currently manufactured models showcased at the stand demonstrate. 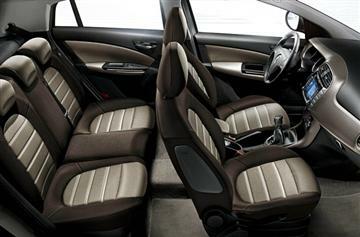 First in line is a seven-seater Doblò with 1.6 - 105 HP Euro 5 Multijet engine and Start&Stop that confirms the remarkable flexibility of the model in terms of space, making it the new Fiat “family space”. Next is an exciting 500C, the original cabriolet version that pays homage to the 1957 open-air vehicle but comes packed with advanced solutions in build, engines and passenger comfort. Introduced throughout Europe last July, the Fiat 500C is further confirmation of the great success of the model, which will soon reach the goal of 500,000 units made in less than three years. Finally, the 80th Geneva Motor Show will grandstand two models made for motorists who want to tackle the most demanding terrain in an eco-friendly way. 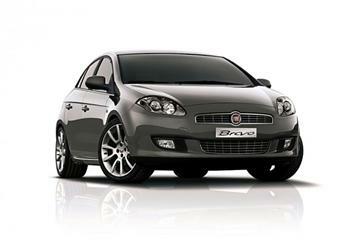 There is the Fiat Sedici, with new style and engines that make it the most eco-friendly Euro 5 SUV. It fits two new engines (petrol 1.6 16v - 120 HP and diesel 2.0 16v Multijet - 135 HP with 129 CO2 g/km). And there is the Panda Cross equipped with a 1.4 - 70 HP (Euro 5) dual-fuel (petrol-methane) engine, representing the fortunate Fiat model that will be celebrating its thirtieth birthday, in Geneva, where it was introduced for the first time in 1980. Over 6 million Pandas have since been sold worldwide.